Jersey Shore Couple Quits The Show For Couple Therapy? Jen dragged Ronnie with the car! Well, Jen Harley dragging the Ronnie was a disgusting thing! It was the next level as the baby was at the backseat. But Ronnie was given justice when she was arrested for that. Ronnie was in a turmoil and couldn’t meet his friends on the seaside to the Injury. But Ronnie has a big heart! Ronnie and Jen trying to get back together! They were seen together in Las Vegas with their children. I think to make their children feel better. But in the story above they cleared out something like a U-turn, We went through a rough time but we are strong and the best we’ve ever been.”, she wrote in the story. Jen wants Ronnie to leave the show! Jen had an interaction with the fans via Instagram. Fans overwhelmed her with series for questions. When she was asked if she watches the show, she answered, “I legit do not watch the show,” she revealed. She also wrote, “Honestly the show has been the route [sic] to all our problems,” And when asked if Ronnie decides to quite the show, it will make their relationship better, she replied, “Duh”. Ronnie feels pressurized! For what? They move for the couple therapy! What his friends react to it? 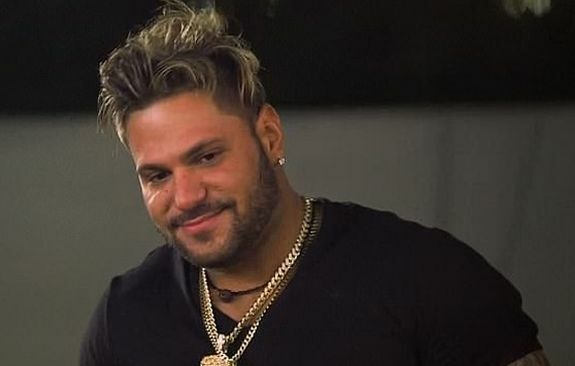 When Jersey Shore asked the decision, they were “terrified” about it.“Due to recent events, I don’t think you should be with Jen,” Vinny admits. “But if you are doing [therapy], it might not hurt. If it doesn’t work out…I pray to God that you’ll just be like…ok, we tried everything we could.”, he added! ← ‘Little People Big World’ Couple Reveals Shocking Pregnancy News! ?